How much unrealized profit or loss do you want to pick up on your financial statements? The answer to this question determines the method grain companies use to value inventory and forward contract positions. It also sparks the best discussions on the philosophical reasoning behind the valuation method that grain merchants choose for their financial statements. Download the eBook: "3 Methods of Valuation: How to Choose the Right Method of Mark-to-Market Valuation for your Grain Elevator"
Management may look to value inventory and contracts at the original cost basis. This will link income to the completion of the basis trade. Recognized profits show up when grain is delivered since the market change in basis is not recognized. Additionally operational expenses will generate losses until grain is delivered. Since inventory and contracts are valued at a lower basis, working capital is also lowered until the grain inventory is sold and delivered. Growing companies that need to show income and quickly build working capital may choose to value inventory and purchase contracts at the F.O.B. sales basis. This captures all the merchandising income minus freight that would be generated by selling the companies entire grain position today. Valuing inventory higher will show higher working capital, but it will also show more income and may increase tax obligations. #3 - Show Grain Merchandising Profitability Throughout the Entire Year. When financial consistency is the goal, grain companies typically value inventory and purchase contracts at the current buy basis. Sales contracts are valued at the current sales basis. This method will show income on ownership positions as the basis moves higher and income on sales contracts in the basis retreats. This allows a post-harvest basis pop to show income to cover operational expenses without selling inventory. The grain handling or back to back margin is not recognized until the bushels are sold and delivered. This has become the most popular method of mark to market for grain companies that have taken the White Commercial Mark to Market Accounting Course. As almost any accountant or CPA will tell you: choose a method and stick with it! 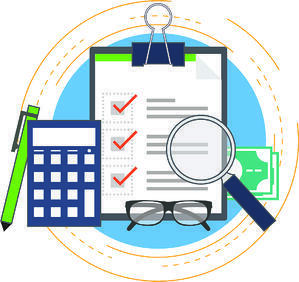 Long and short term financial goals must be considered as it is not appropriate to continually change the method of valuation.Making a prudent decision on how to value grain inventory and forward contracts is difficult and should be made with a qualified CPA familiar with your grain company. To aid you in the process of determining the appropriate valuation for your grain in any given scenario, we'd like to share our latest eBook publication: "3 Methods of Valuation: How to Choose the Right Method of Mark-to-Market Valuation for your Grain Elevator."